Hi Guys! How are you all? 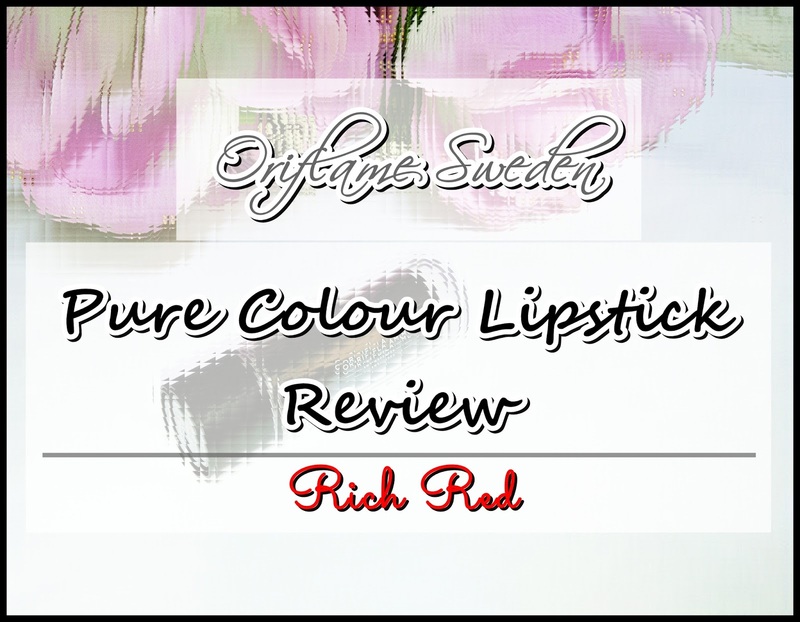 These lipsticks have eight shades in their range – Desert Rose, Warm Fuchsia, Rich Red, Radiant Red, Tempting Brown, Mink Brown, Black Cherry and Ripe Plum. All these colors are so experimental and beautiful but I love Reds and bought the shade Rich Red, so that even if I am unhappy with the product, I can wear it. 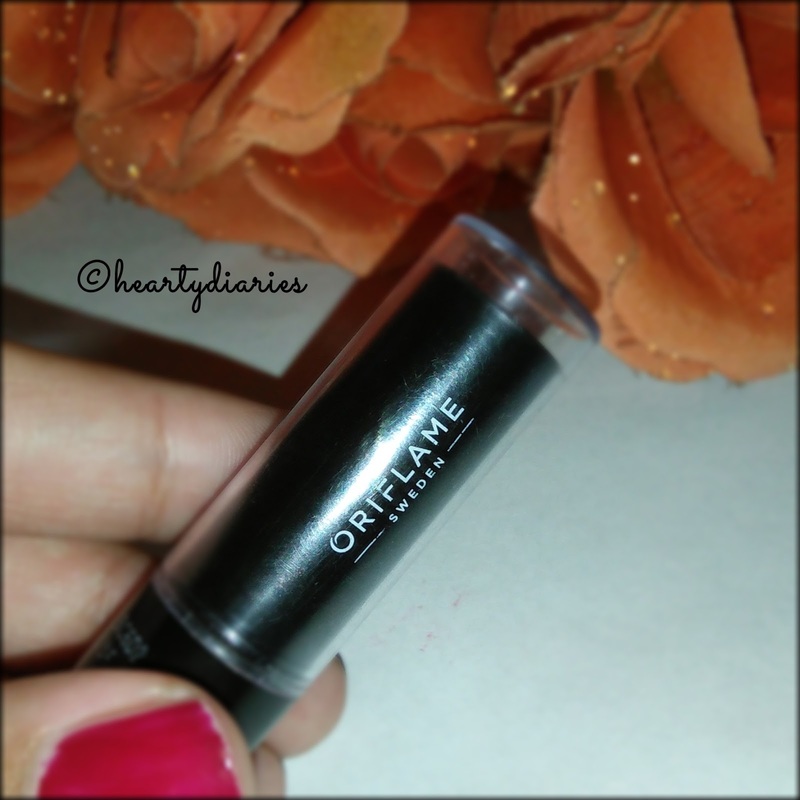 No matter how many mattes and liquid lippers we have in market, the regular lipsticks can never go out of trend and I found this range really affordable… So without blabbering further, lets dive into the review..
Packaging: This lipstick comes in a cylindrical, glossy, opaque, black, plastic bullet with a transparent plastic cap which allows to view the shade easily. The click cap has a loose packaging, doesn’t lock properly and the lipstick is really small, light weight and travel friendly. The overall packaging is very basic, prone to breakage and has nothing too fancy. 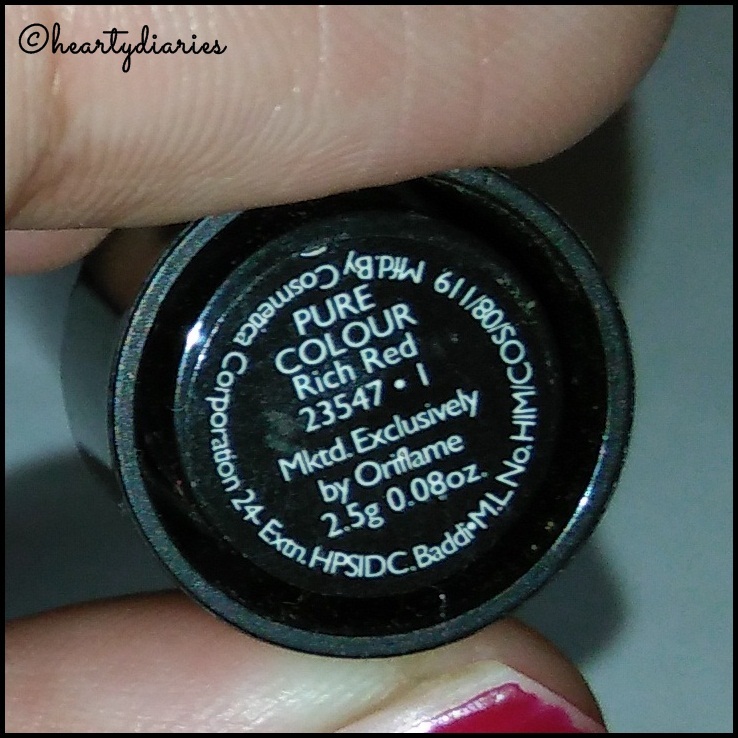 Shade: This shade “Rich Red” is not Red at all and has pink undertones to it. It looks natural and nice though but doesn’t match its name. This shade will flatter all skin tones. Staying Power: This lipsticks has a staying power of two-three hours depending on the weather, talking and eating. It starts fading after two and a half hours and removes completely if I eat or drink something. 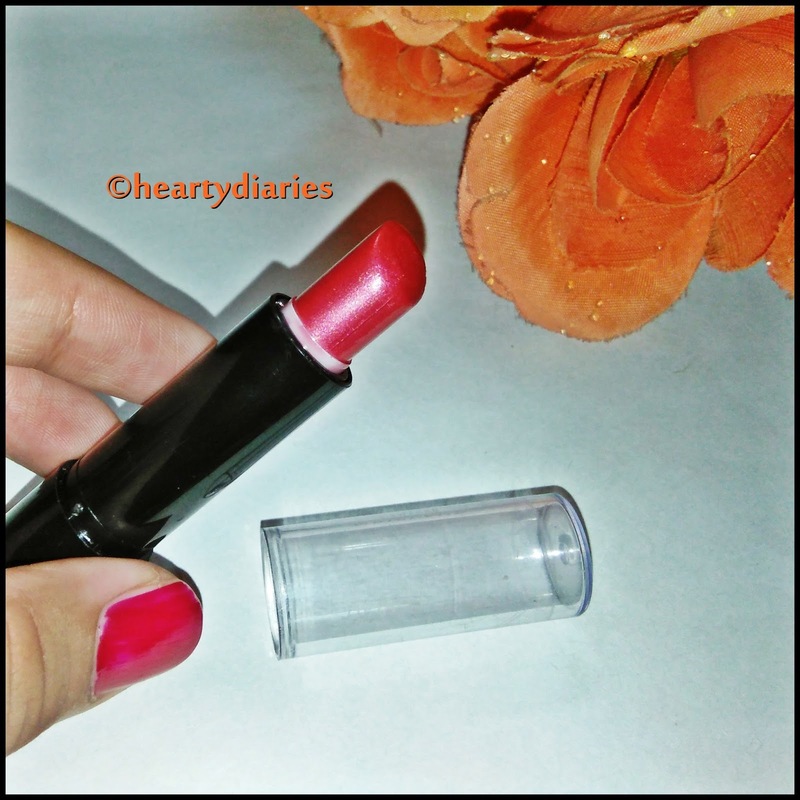 My Experience: I am a lipstick lover and I can go on with any shade but whenever I try a new lipstick brand, I always buy red because its perfect for every occasion whether it’s an evening party, a wedding function, a trip to a movie theatre, a vacation, a business or social event or just another day at work. Now when a lipstick says Rich Red, I hope you know what to expect. I am not the person who would not try out any other lipstick except mattes. I like to go with all kind of finish depending on the entire makeup look I am going for. Sometimes I love extremely matte lipsticks while on other days, I love to go on with glosses. There is no hard-fast lipstick rule according to me due to which I had not expected this lipstick to have a certain finish because when you do that, you don’t settle for less and all you’re left with is disappointment. This lipstick has a soft, creamy texture and feels like you’re applying butter on your lips, literally. It also has a glint of shimmer to it but that doesn’t show on the lips. It just looks glossy due to is texture but you can not see any shimmer going on beneath. What I love about this range is the fact that all these colors will complement most skin tones and they’re highly affordable. 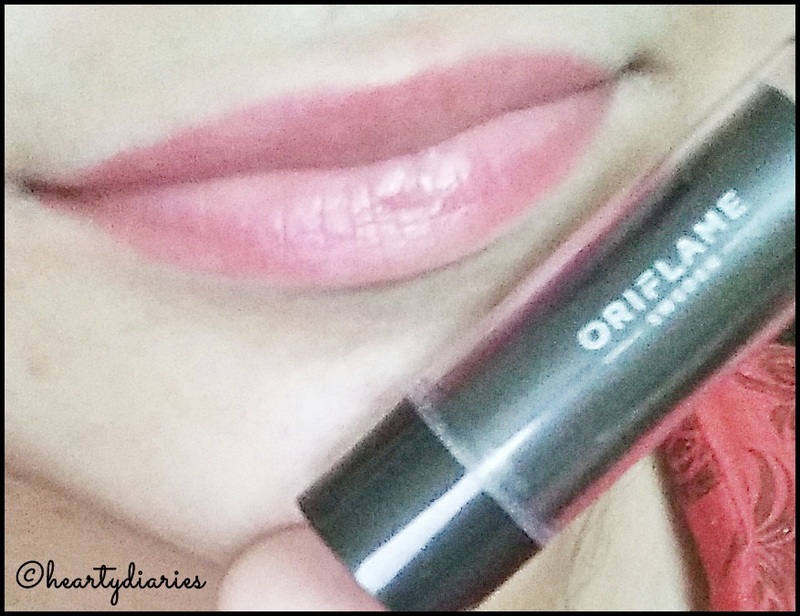 The buttery formula makes my lips moisturized and prevent flaky, dry or chapped lips but I am highly disappointed by its staying power and pigmentation. The color I see on the lipstick bullet no where matces to what is there on my lips. I swipe it multiple times to get a little bit of color but it is not at all Red. This lipstick has pink undertones to it and forget about Rich Red, I cannot even see it near red. 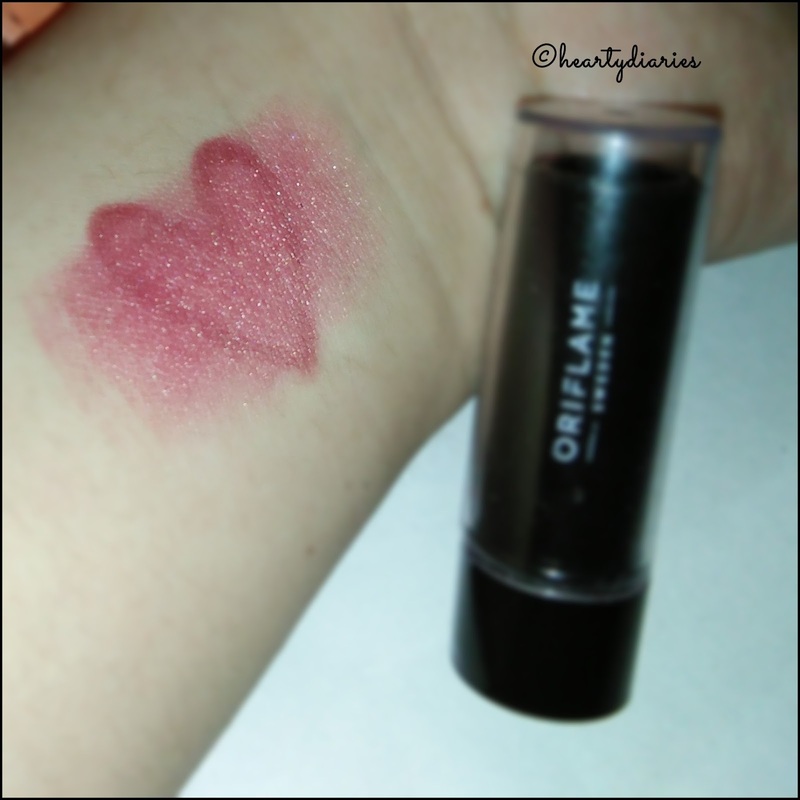 As for the application part, it glides smoothly on my lips, doesn’t crease up and looks even but I cannot see any coverage in it. The staying power is really less and stays on my lips for hardly two-three hours. The smell of this lipstick is really floral and nice but not overpowering and vanishes off in a minute. It disappears as soon as I eat something but overall the texture is moisturising and I can wear it off to college. It stays a little longer when I apply a lip liner underneath. It is light weight, travel friendly but I am also upset with the packaging. The cap is very light, prone to breakage and not very tight. It comes off sometimes in my bag which is enough to ruin my lipstick. 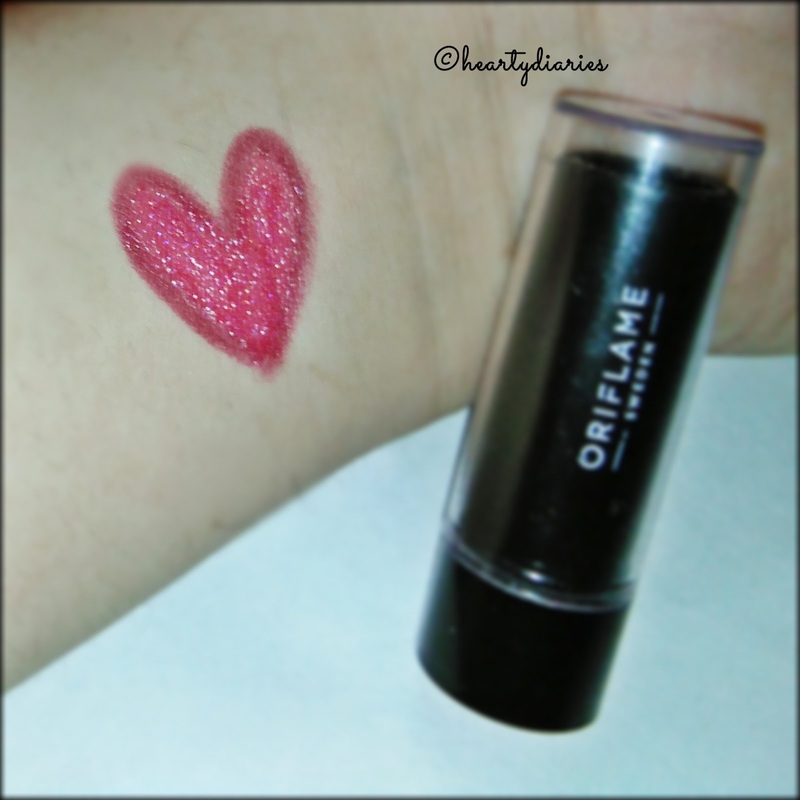 I’d say this lipstick is very creamy, not very pigmented, has a little staying power but can be touched-up easily, is easy on our pockets and can be worn off to places where you need to be subtle and casual. 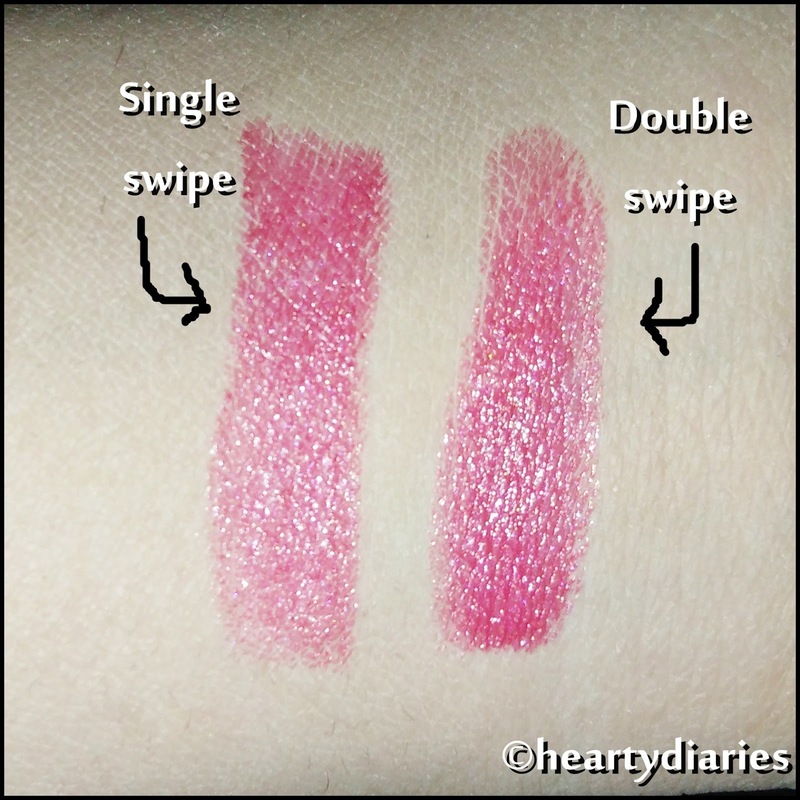 Lip swatch is nice… disappointed wd this product.. ? ?